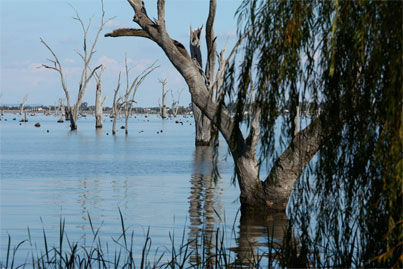 Picturesque Lake Mulwala, the ideal holiday destination. With stunning scenery and views of Lake Mulwala right at the door, relax at our newly renovated bar, bistro and deck, enjoy one of our delicious meals, relax with a drink, let the kids play in our popular playground or take in some of the regular live entertainment. Looking for clean, comfortable accomodation? Why not take advantage of one our 18 rooms, perfect for families, business people and travelers alike. We can cater for larger groups as well. We invite to look around our website, and if there's something more you need to know, feel free to contact us on (03) 5744 2499. Our helpful and welcoming staff take pride in ensuring your visit is relaxing and enjoyable. We look forward to meeting you right here at our 'Inland aquatic paradise '.